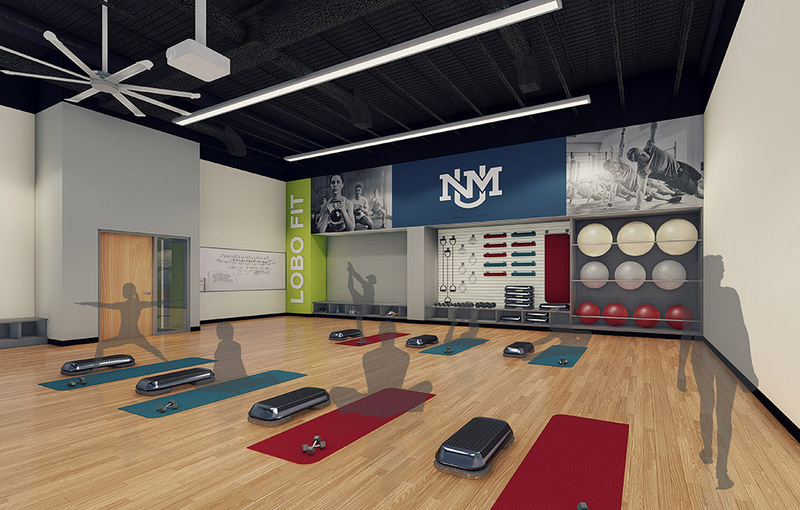 Hasting+Chivetta and FBT Architects were selected by the University of New Mexico to transform the outdated Johnson Recreation Center into a student-focused hub of campus activity. 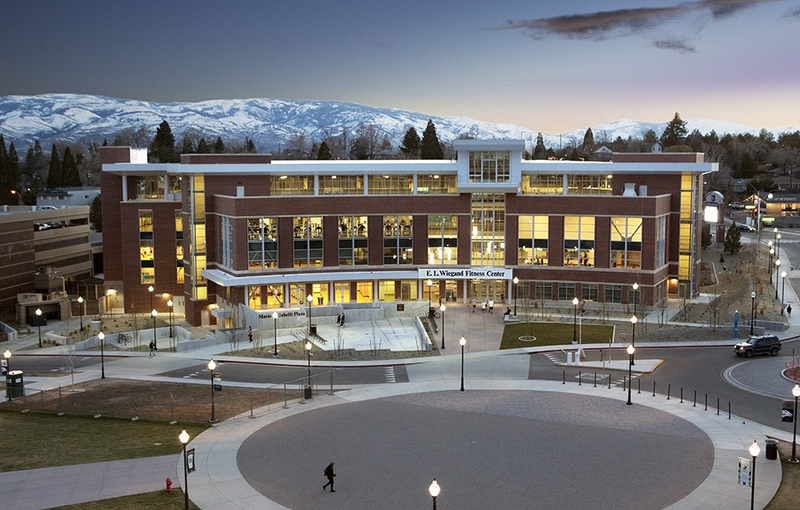 Student support for the renovation and expansion is resounding – the project is funded entirely by students. 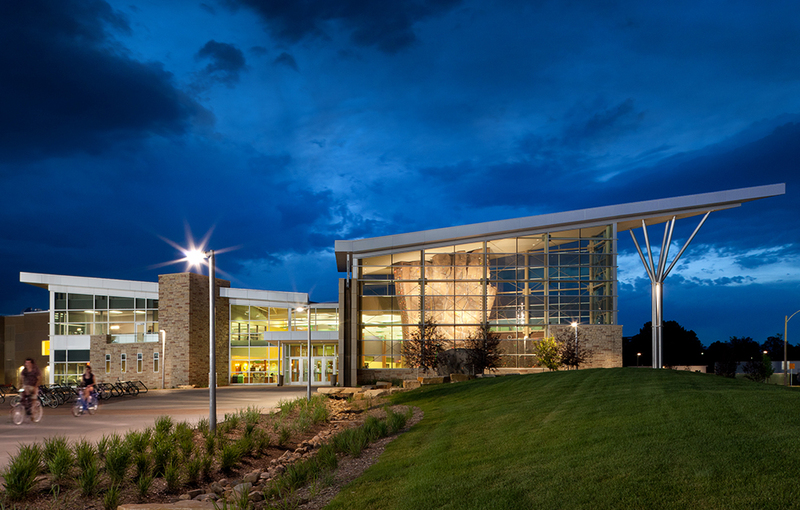 The Johnson Center opened its doors in 1957 and has not had significant upgrades since. Multiple additions over the years were connected to the original facility via long hallways. The result is a complex wayfinding problem with internal corridors not connected to each other – students can easily get lost and are not able to see the wide range of activities available. 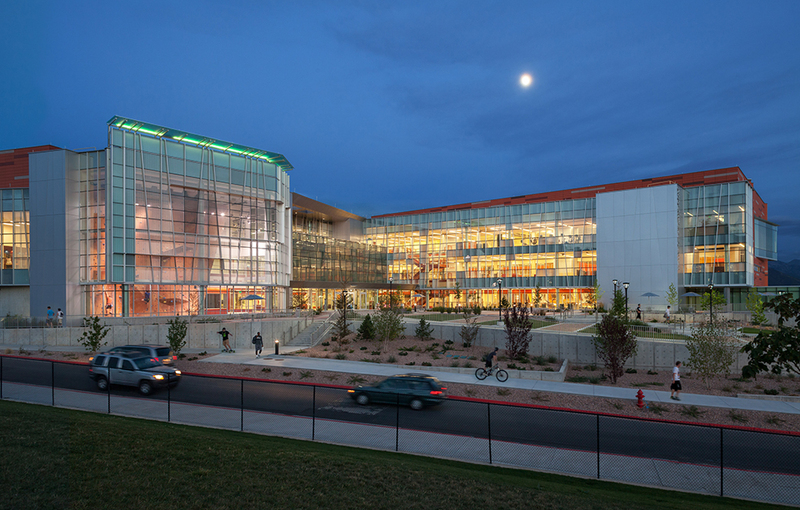 The exterior of the Center also reflects a lack of cohesion between the multiple additions over the decades. 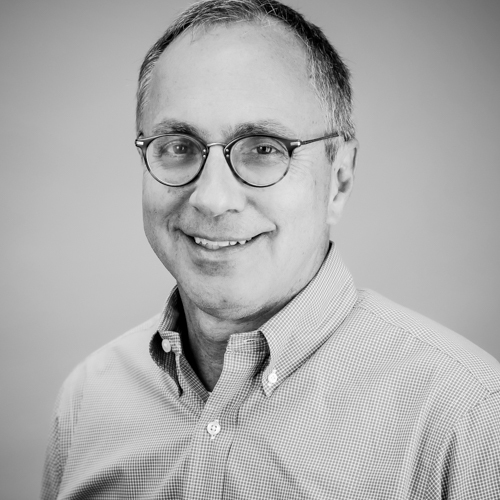 Hastings+Chivetta and FBT developed a multi-phased plan that will guide the development of the Center for the next decade, and work on the significant first phase is underway. 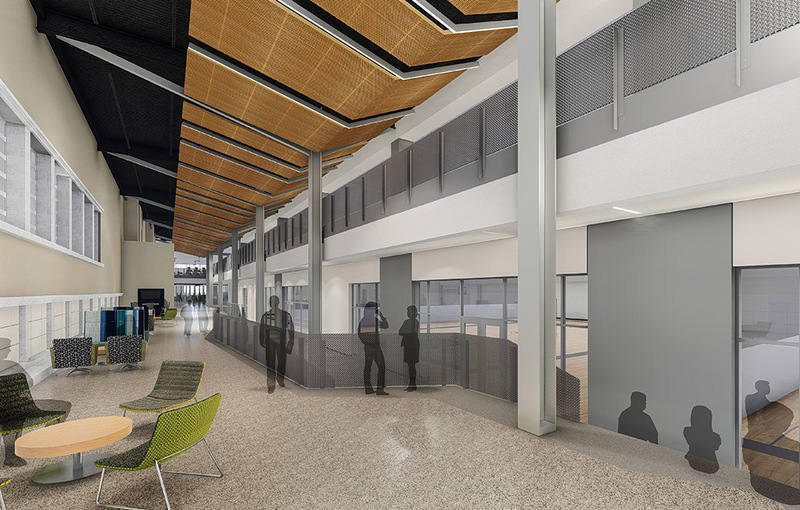 A new concourse will be added in order to unify previously separated areas of the Johnson Center and simplify building wayfinding and circulation. 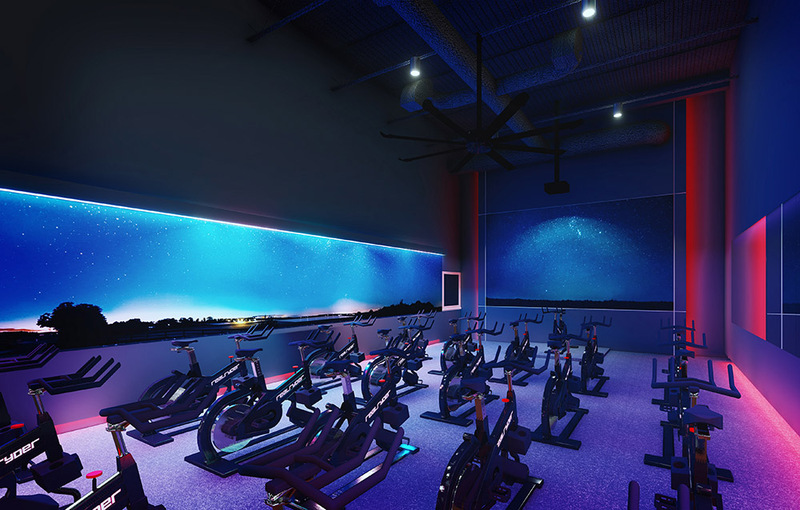 The glass-walled concourse will create a new entry and pre-event gathering space for the adjacent performance gym, and connect to the renovated practice gyms, as well as the new fitness suite (doubling the existing space), weight training area, functional training zone, outdoor activities suite and climbing wall. The multipurpose rooms and dance studio will also be renovated. 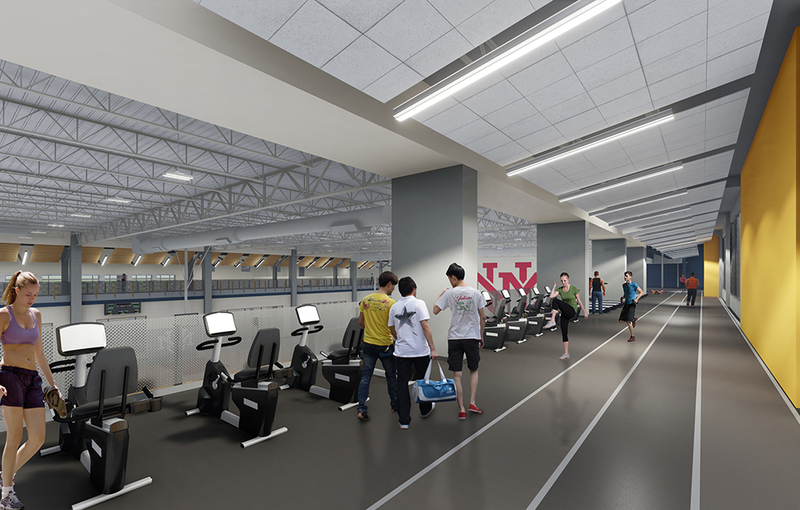 A new jogging track and cardio mezzanine will be added above the existing practice gym, and will connect to the new fitness center. 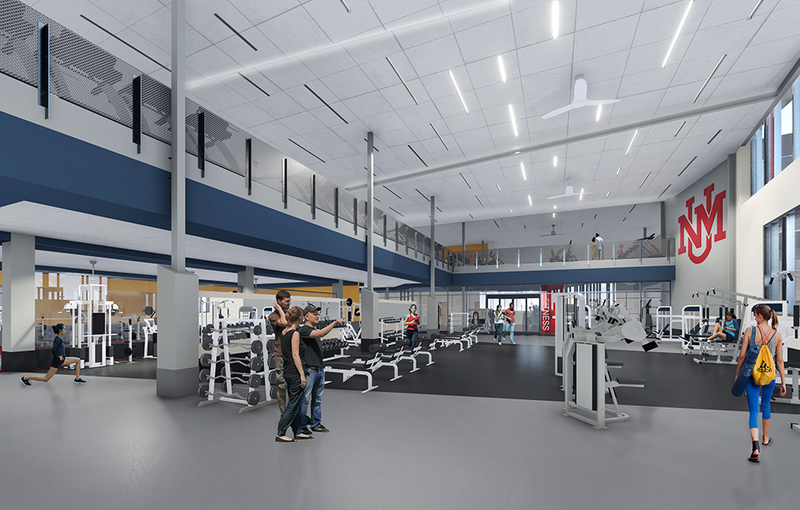 The next phase of renovations will encompass the performance gym, 50M pool, and a large suite for the department of Health, Exercise and Sports Sciences (HESS). 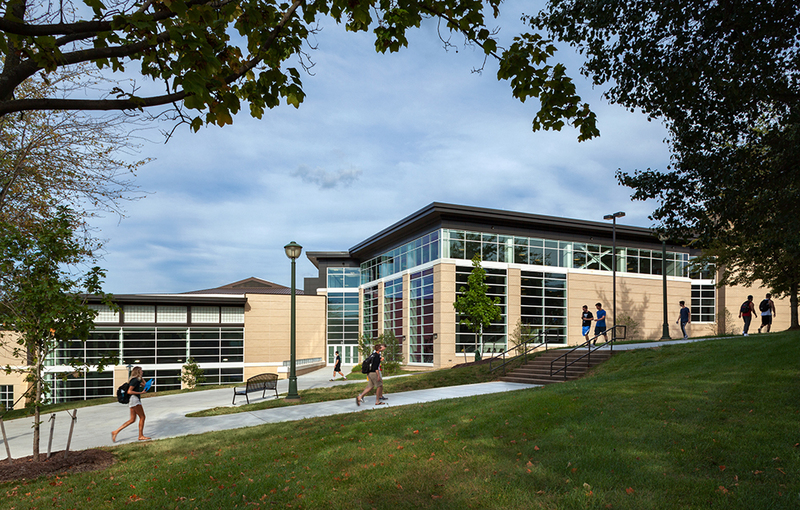 The HESS suite renovations include departmental offices, conference rooms, fitness testing, a biomechanics teaching and research lab, hydro tank/testing area, and a biochemistry lab. 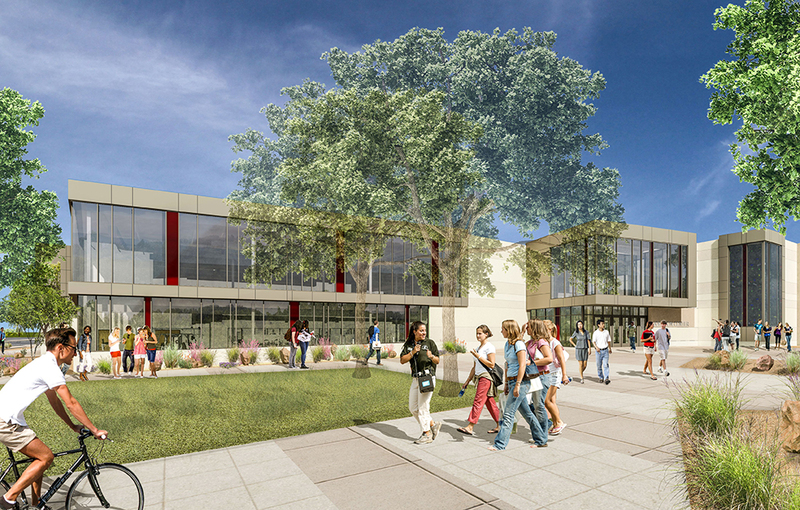 Adjacent to the HESS suite will be a connector to a planned Interdisciplinary Academic Building that will accommodate additional HESS classrooms and labs. 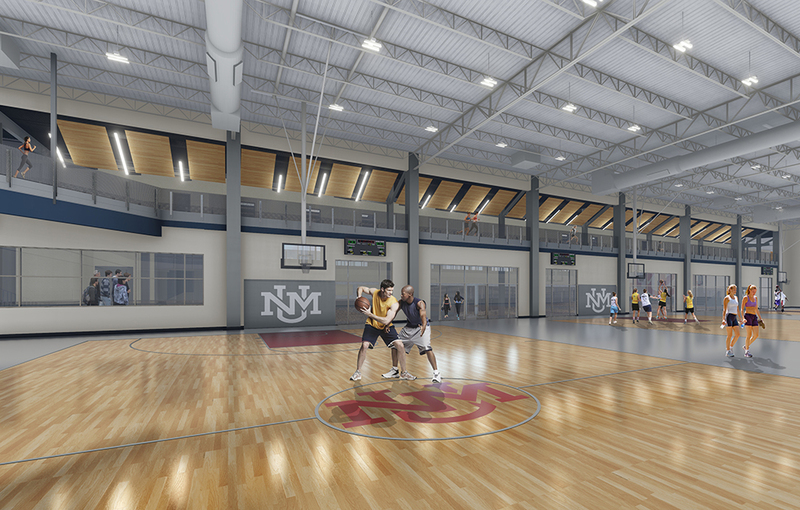 Overall, the renovations and expansion will increase the available space for athletics, recreation and academic functions for the University. 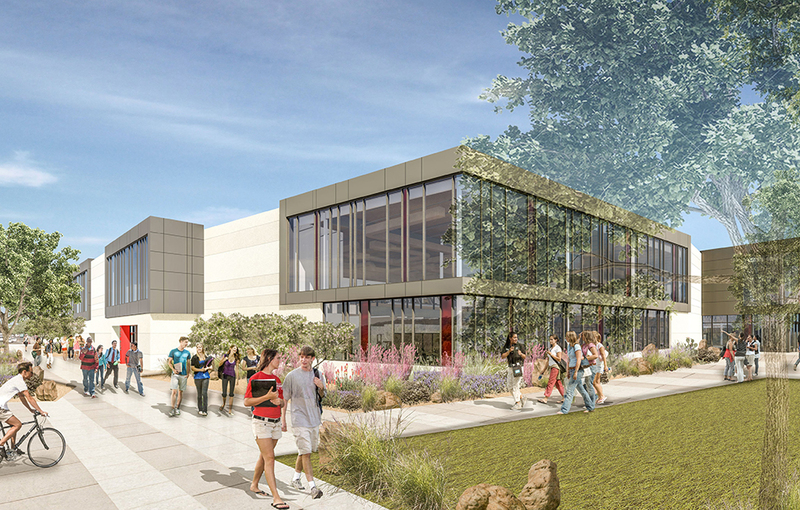 The new exterior façade will engage with the surrounding campus and landscape, and create a more positive first impression for campus visitors.